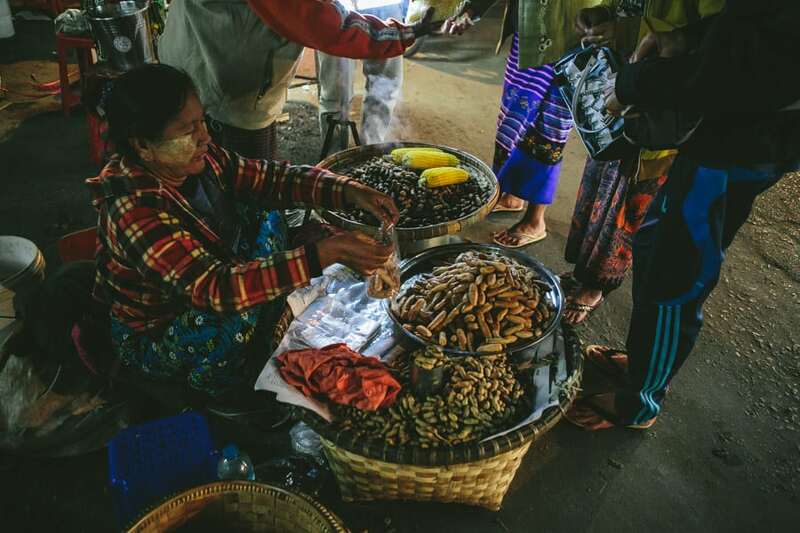 After a very early morning wake up to take a hot air balloon ride over the temples of Bagan, and a long drive to Mandalay, we were pretty pooped. 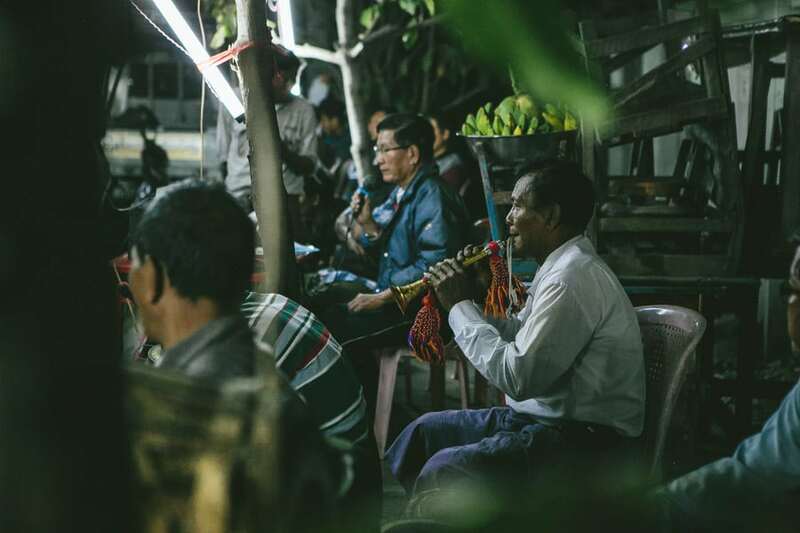 As we chilled in our downtown hotel room, we began to hear some strange, almost dischordant music and karaoke style singing drift in through our windows. 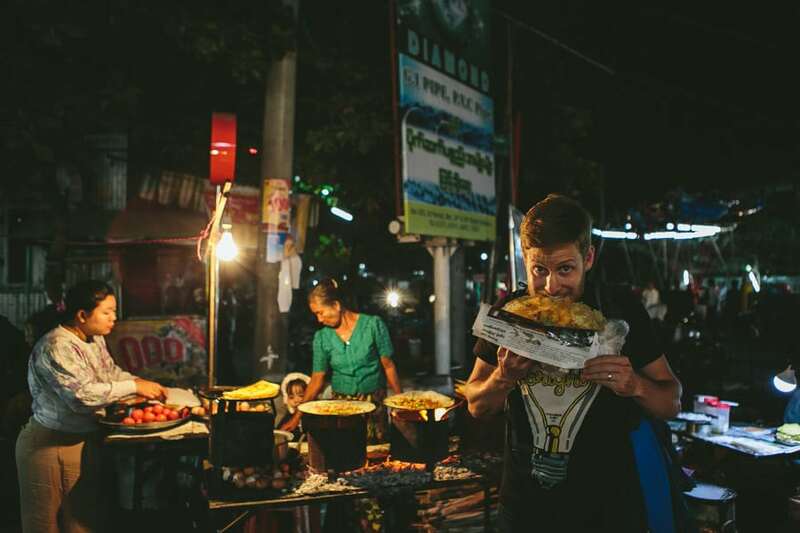 At the time we figured it was just one of the quirks of the new city we were in. 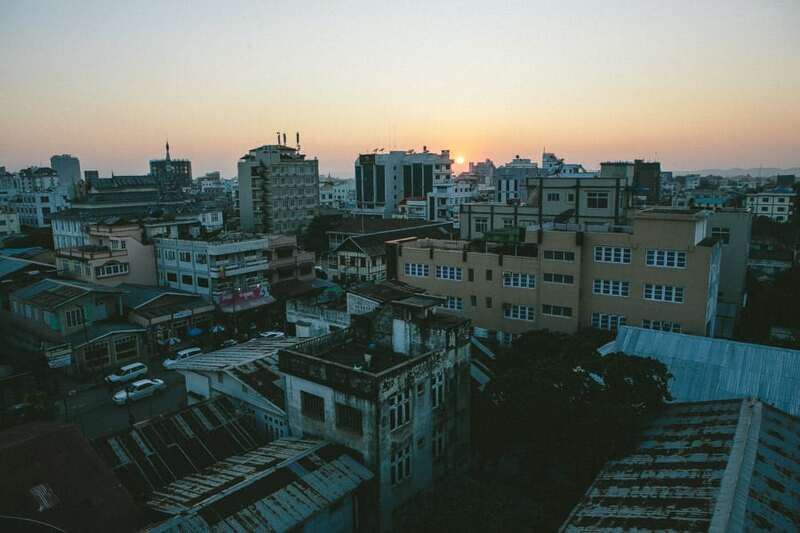 The sun was setting, and we set out to try and track down a vegetarian restaurant for a Christmas Eve dinner. 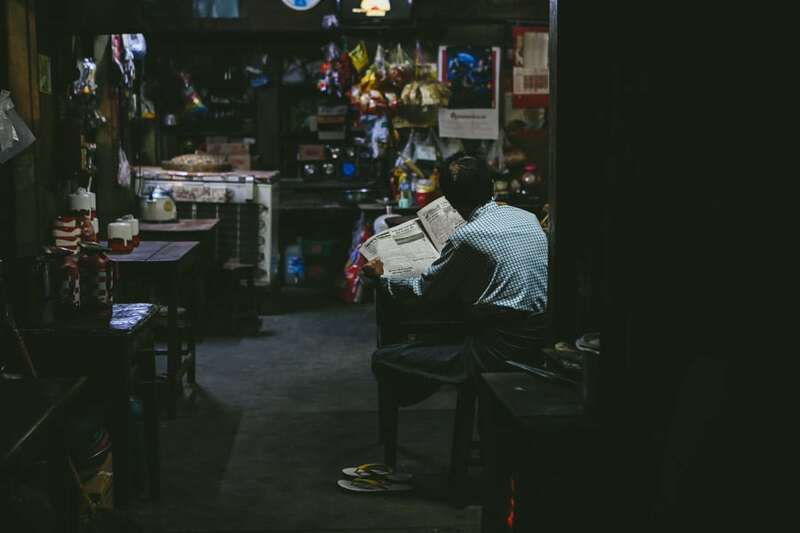 Our trusty Lonely Planet guide book had described a great one in an old colonial manor house in the heart of the city, but we got lost trying to find it. 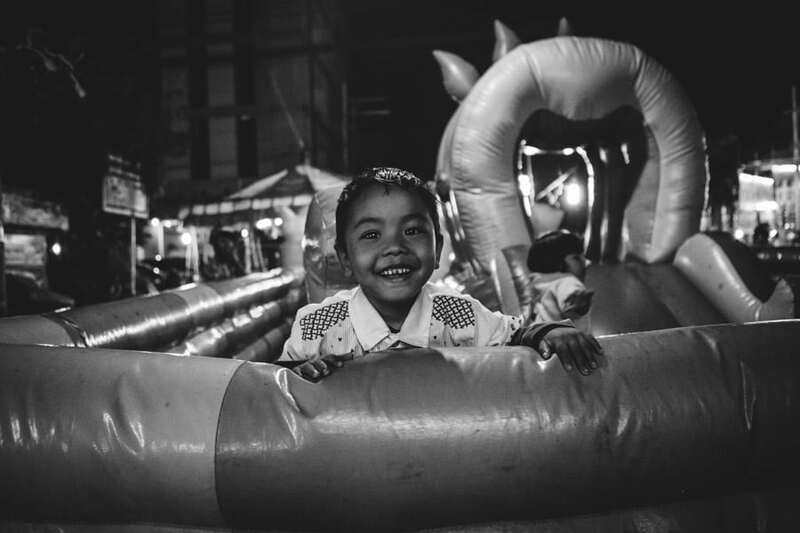 A few years before, after a disastrous incident in Cusco where we left both our cameras at our hostel as we were just “popping out” to get a quick meal after we got back from the Inca Trail (ironically, also on Christmas Eve), we stumbled onto a massive Christmas festival with nothing but my iPhone to document it with. 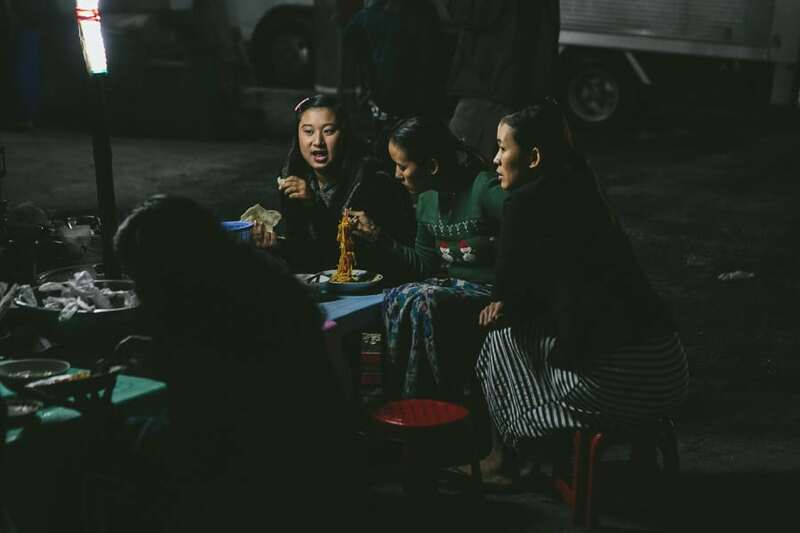 After that, we ALWAYS take at least one camera with us wherever we go – which on this night in Mandalay was a good call. 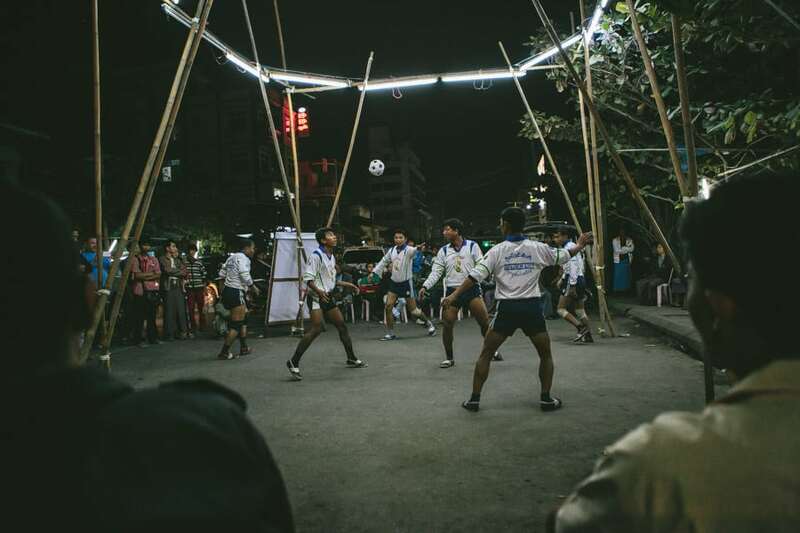 Getting lost in a city based on a grid plan is quite an accomplishment, but its the best thing that could have happened as we stumbled into the middle of what we would later find out to be a Pagoda Festival. 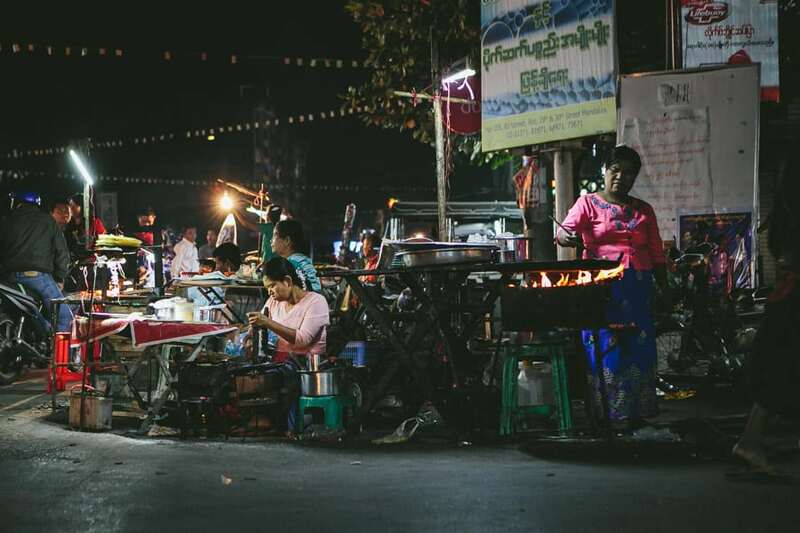 We discovered some roads closed to traffic around the local Buddhist temple which was brightly lit and covered in offerings and was surrounded by pop up food stalls, a stage with singers (and puppets! 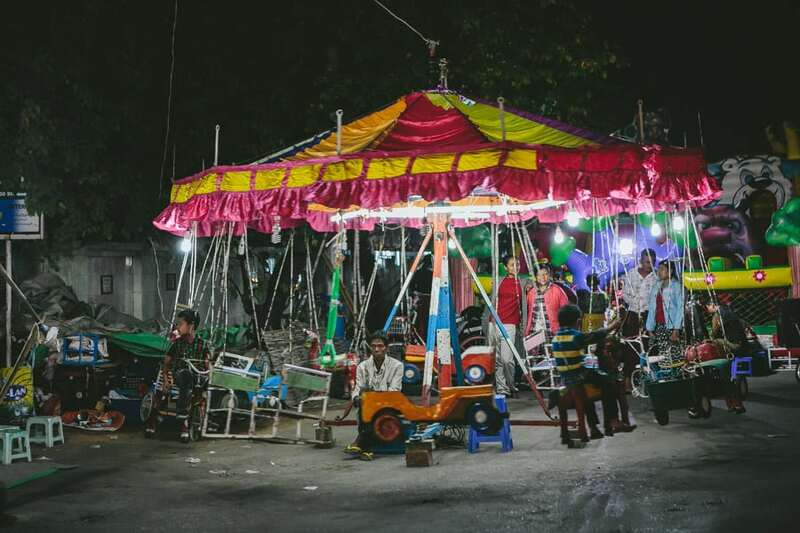 ), a carousel, other fun fair rides, and a large crowd around a game being played that we found out was called “Cane Ball” and resembled “one bounce”. 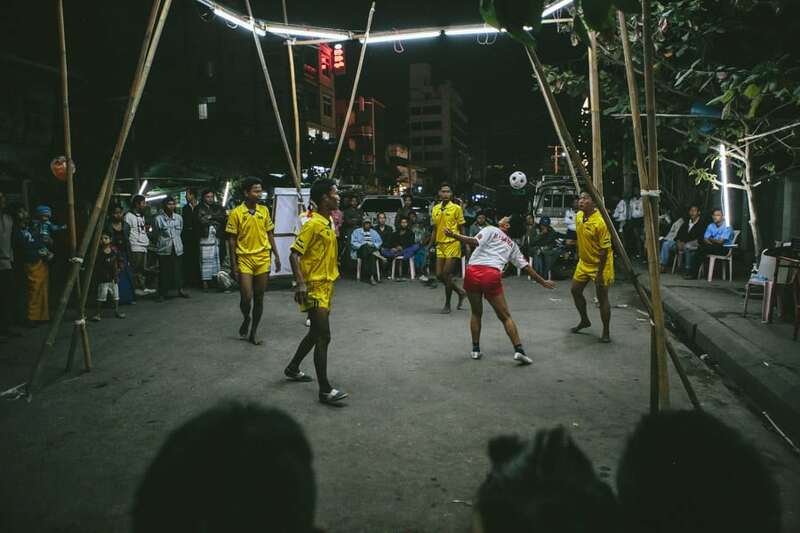 Once making our way through this large crowd we found ourselves enthralled my some insane acrobatics by these teams of players who bounced the ball between them while a group of old men played a cacophony on various instruments, the pace of which the players had to play to. 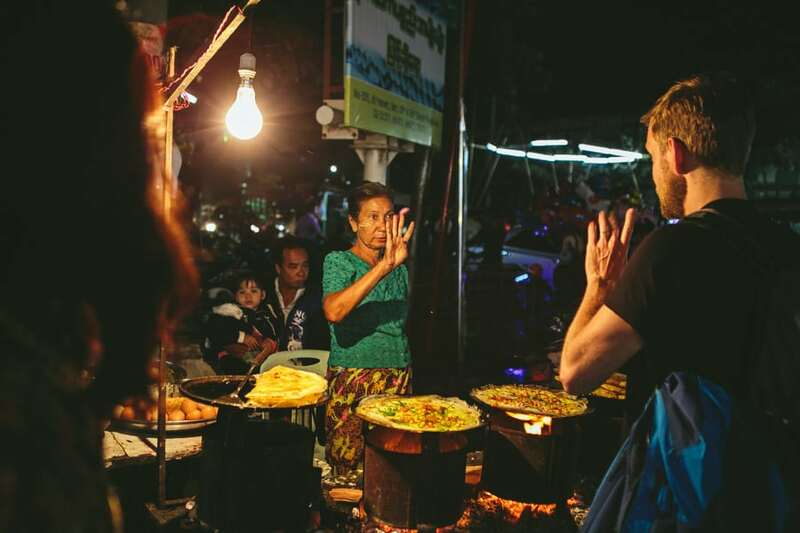 We were enthralled by this for way longer than we expected and eventually ventured out and sampled all of the street foods we could, our quest for the restaurant long since forgotten. 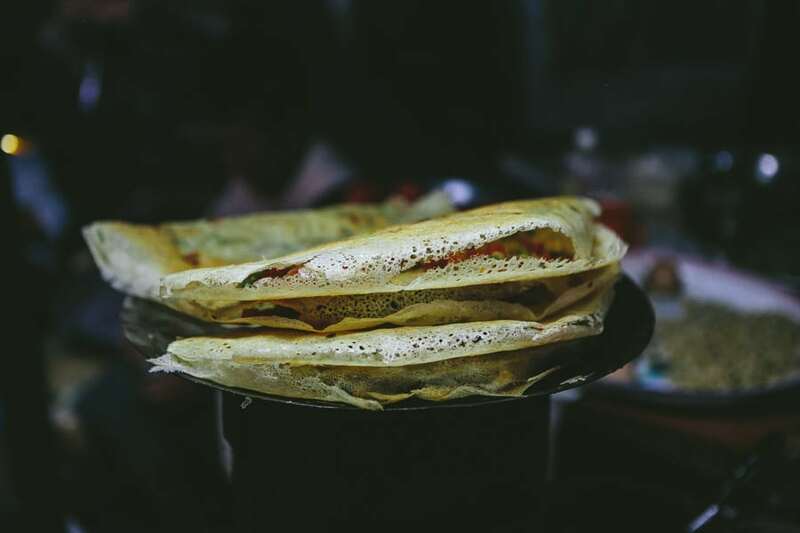 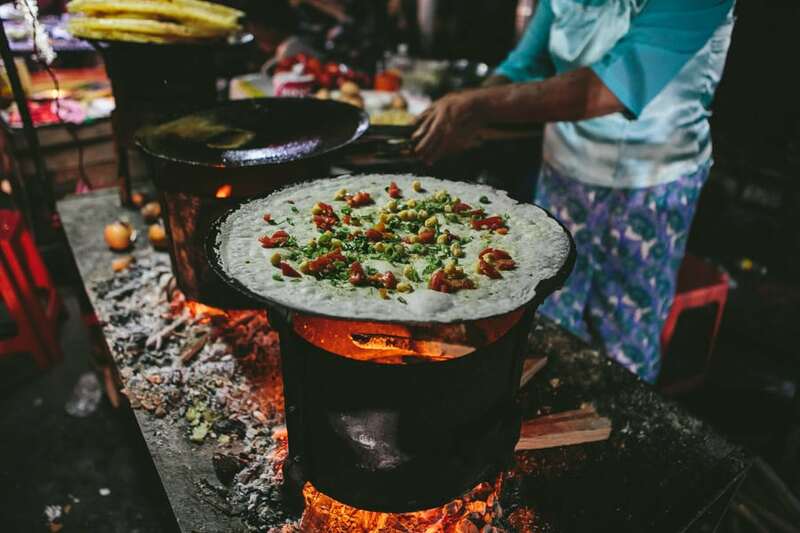 This thin, crispy pancake looking thing was filled with coriander, chickpeas, tomato and chilli and is something that even months later we would kill to eat again! 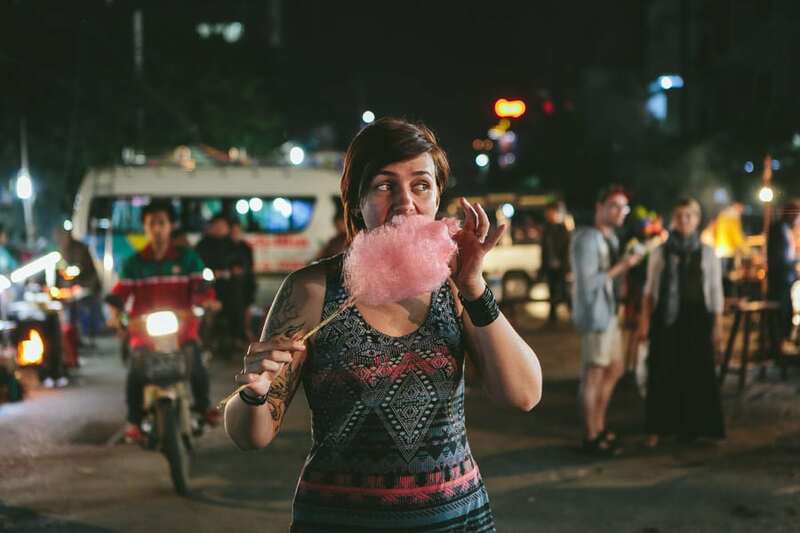 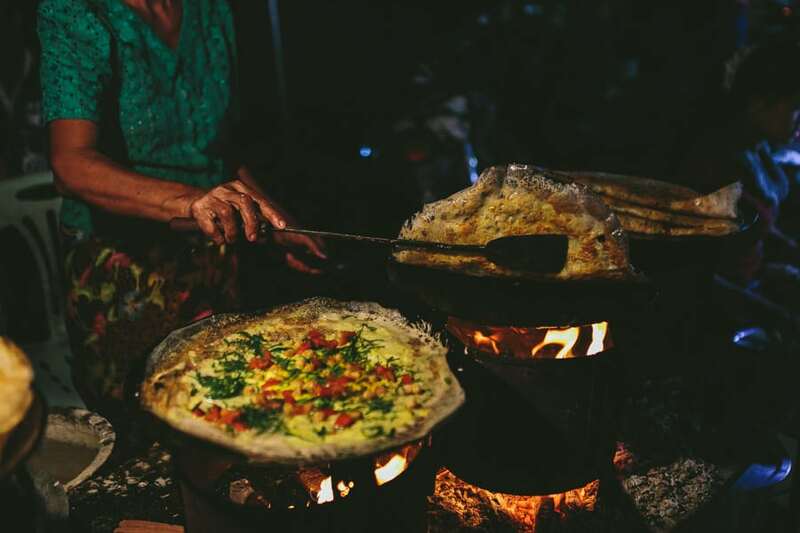 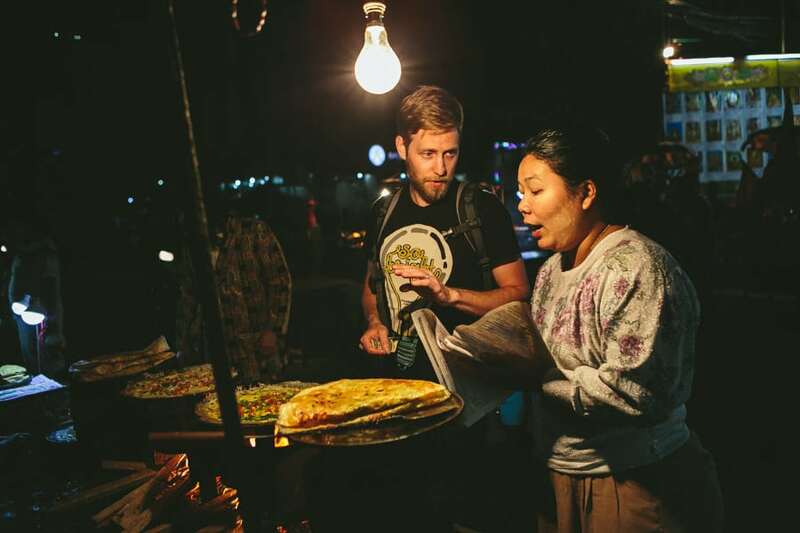 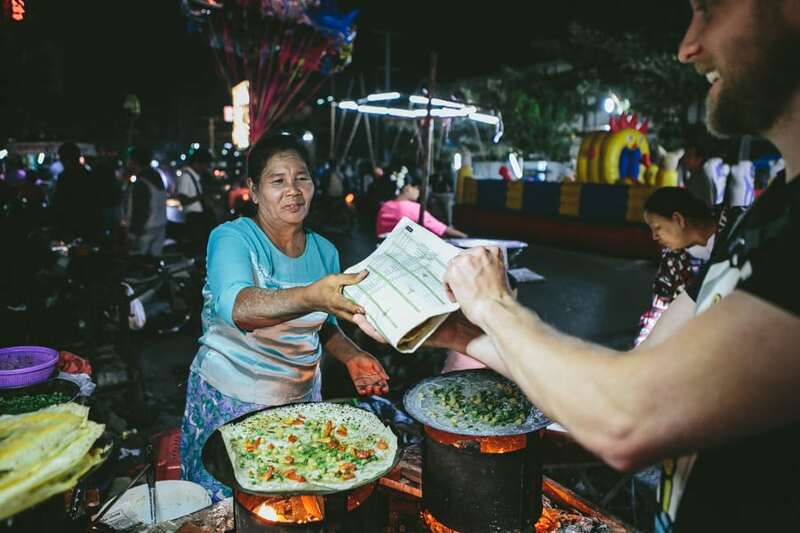 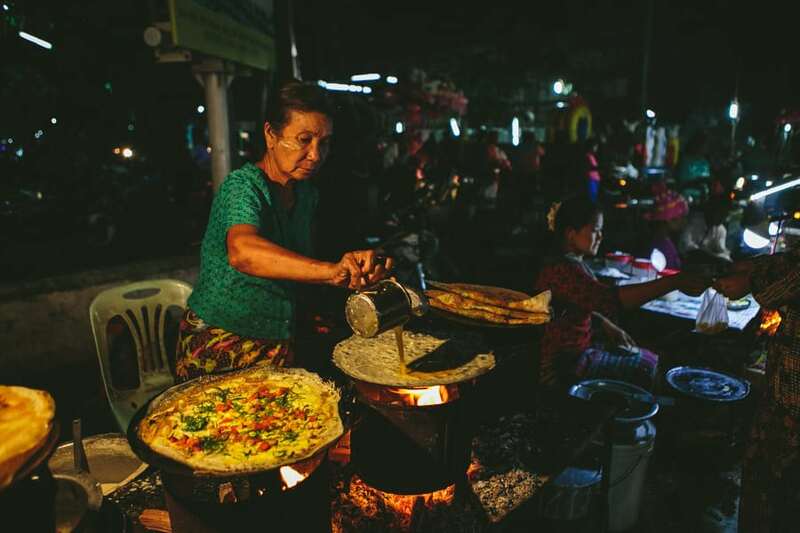 Street food in Myanmar is a big deal, even when there is not a Pagoda Festival to accompany it. 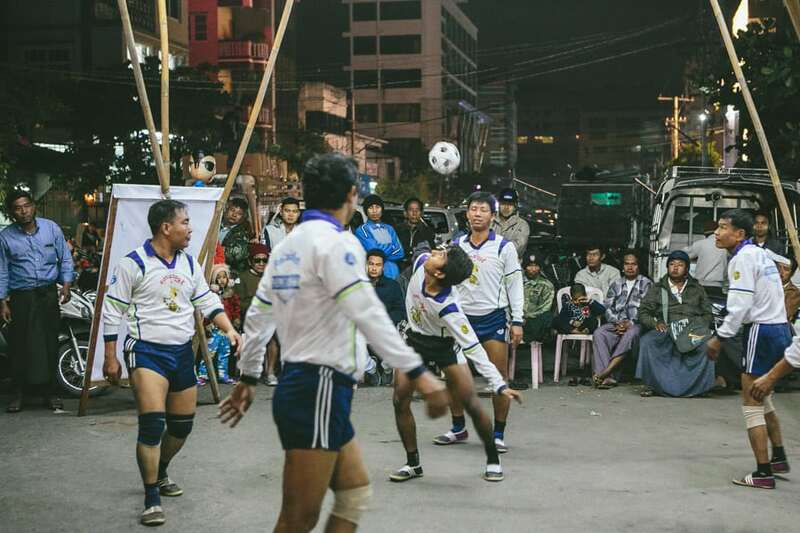 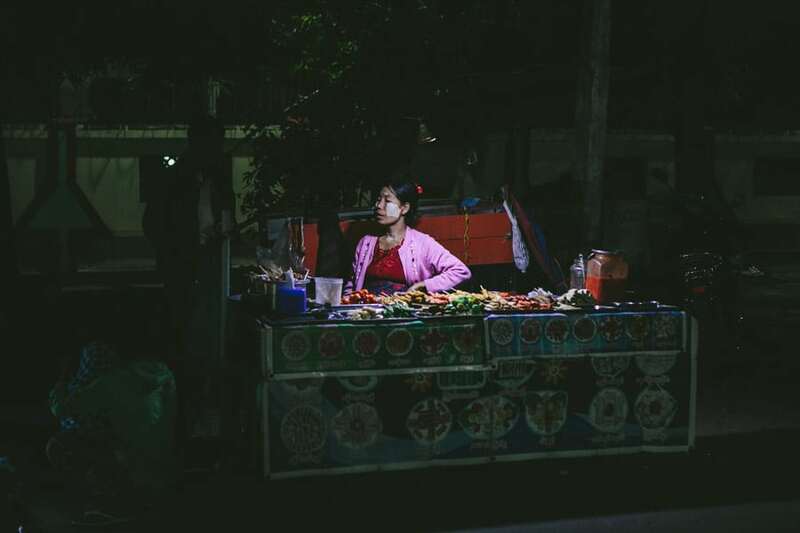 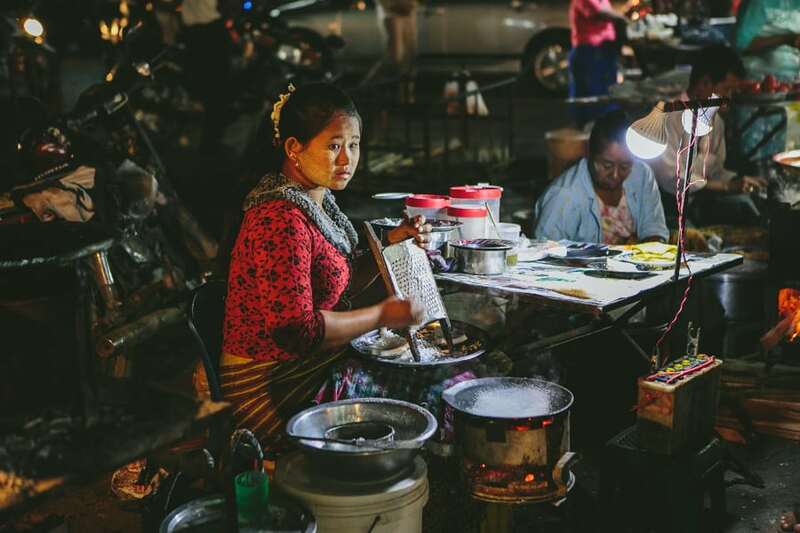 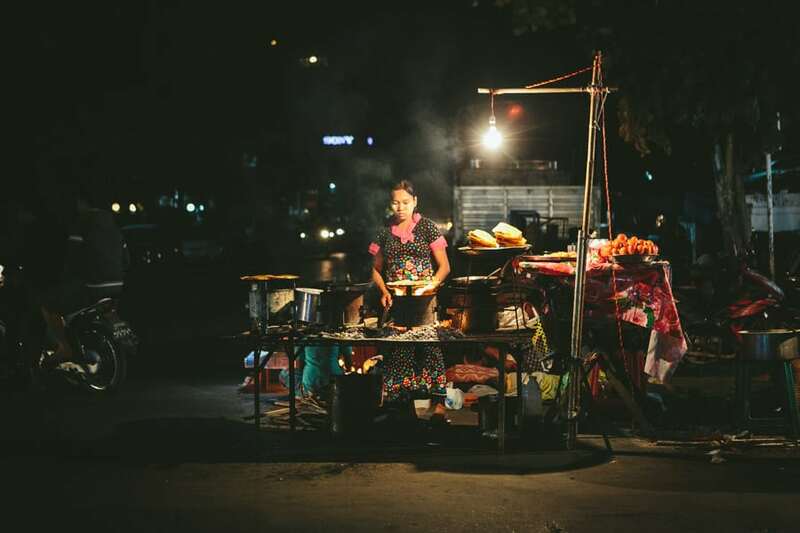 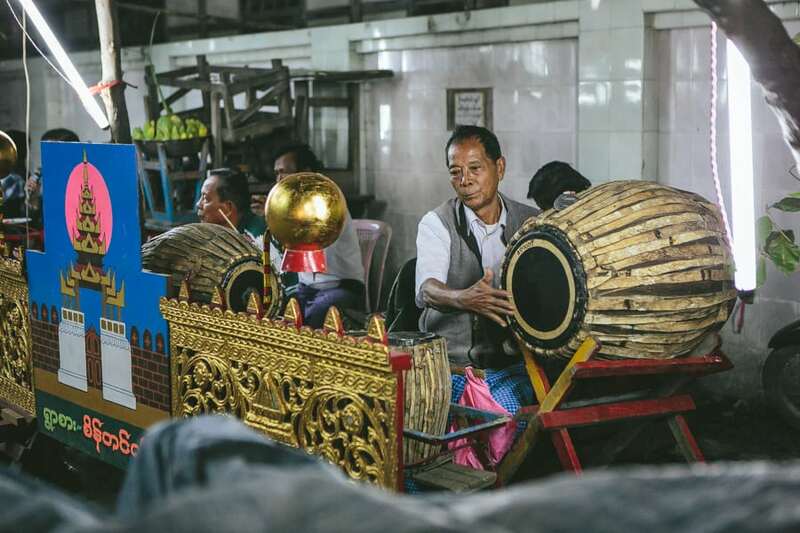 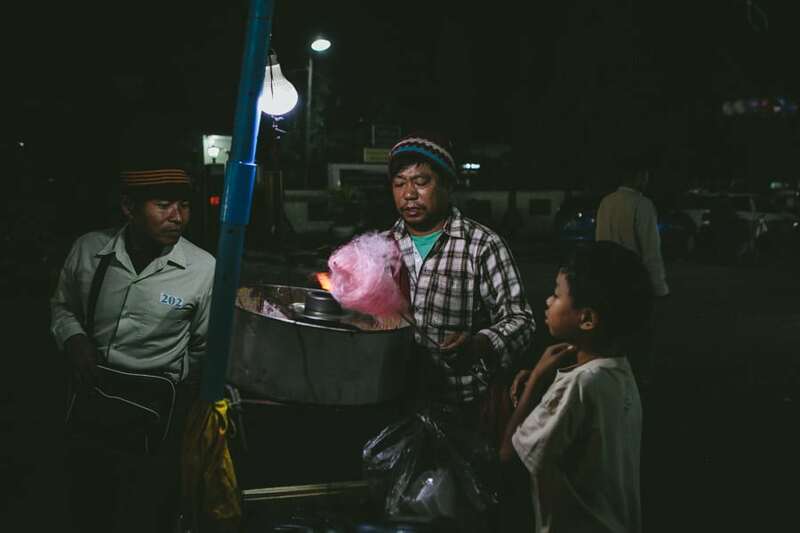 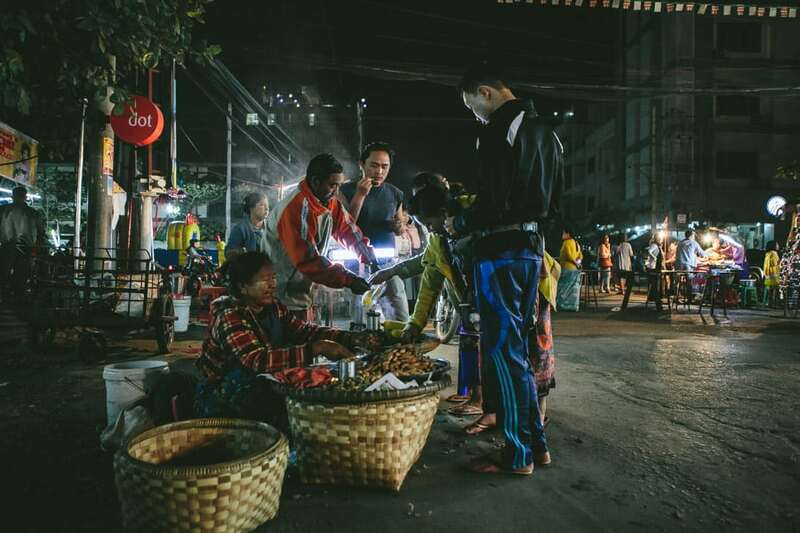 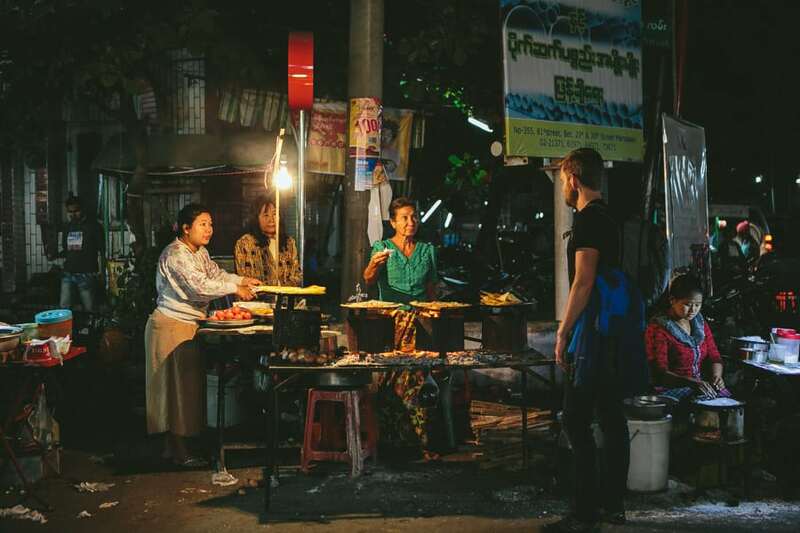 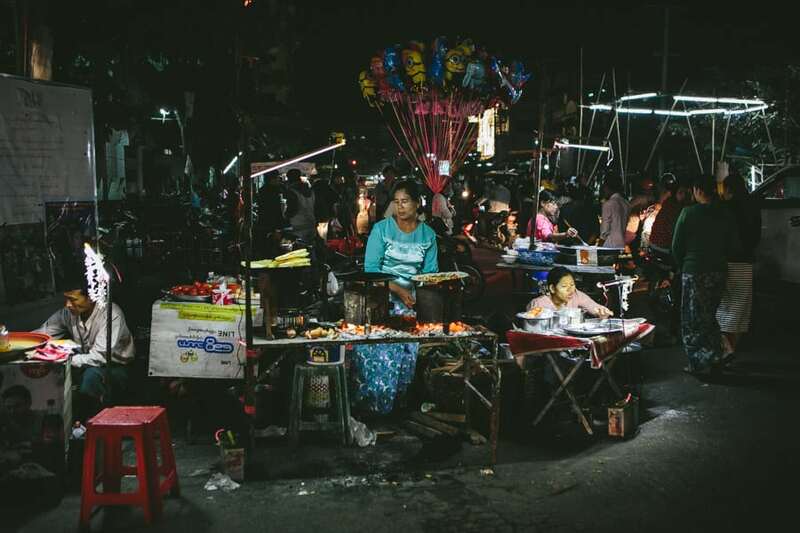 The Burmese have a culture of taking their meals in public, communal environments, and many people eat on the street instead of cooking at home. 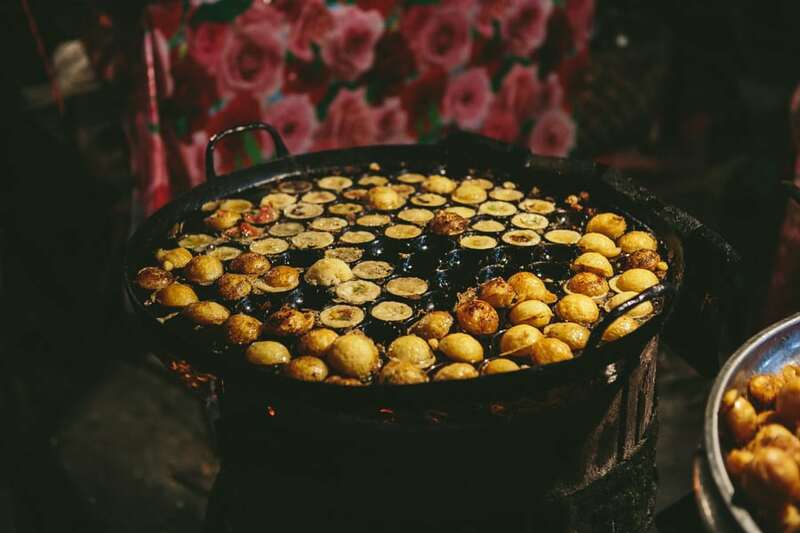 These balls of doughey deliciousness is another one of those snacks we wish we could eat again! 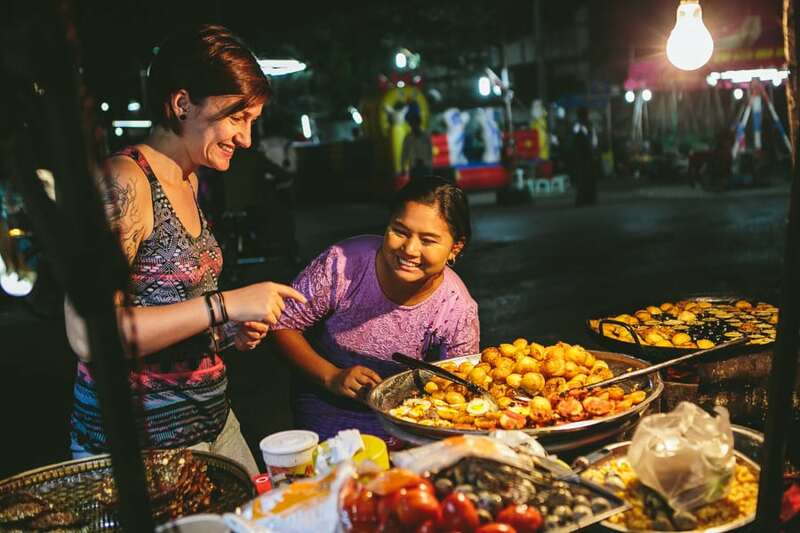 We ate them all over Myanmar from a variety of street vendors, but none were as good as those from this incredibly friendly lady, who with the help of lots of smiles and sign language between the two of us, I managed to get the veggie friendly spicy balls of amazingness. 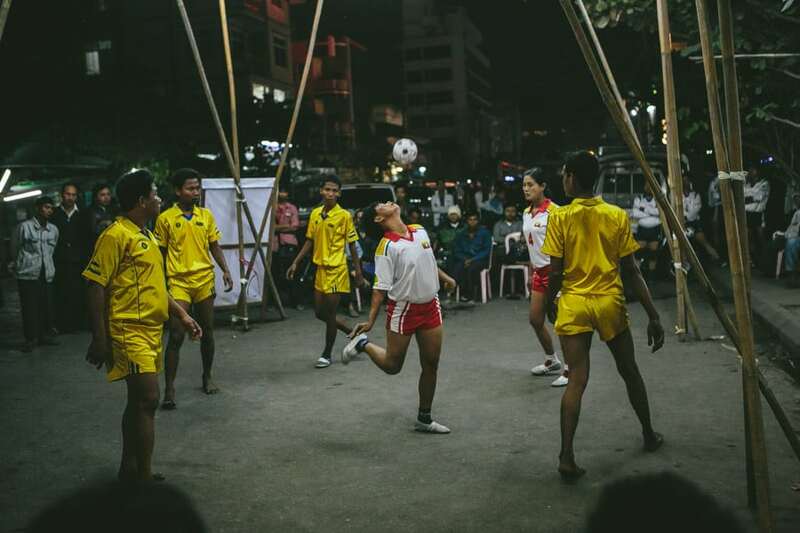 Great pics guys! 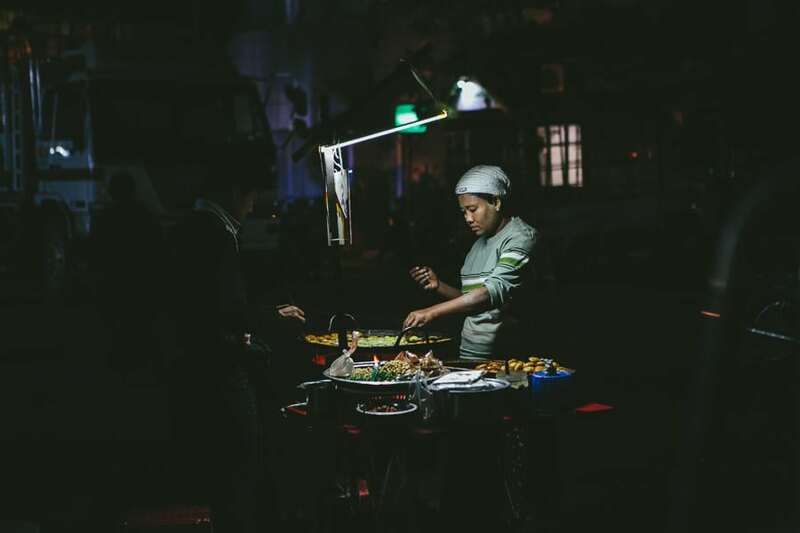 Such cool lighting.